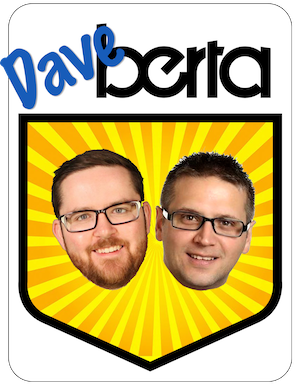 At least three Conservative Members of Parliament from Alberta are expected to face challenges for their nominations ahead of the expected 2019 federal election (news of two of the nomination challenges was first reported by Ryan Hastman in the latest episode of The Daveberta Podcast). 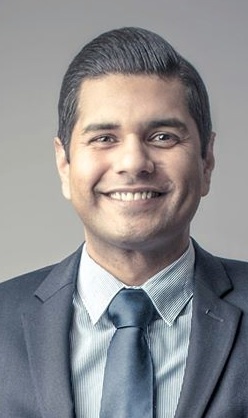 Former Progressive Conservative MLA Moe Amery is challenging Deepak Obhrai for the federal Conservative nomination in Calgary-Forest Lawn. 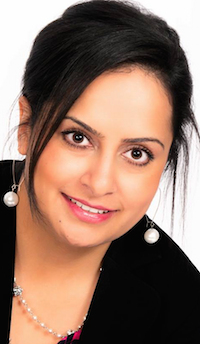 Obhrai was first elected under the Reform Party banner in 1997 and ran for the Conservative Party leadership in 2017. 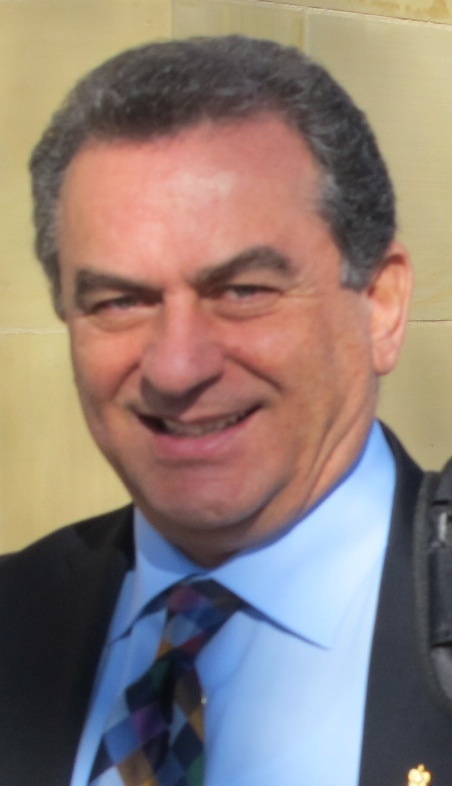 Amery served as the MLA for Calgary-East from 1993 until he was defeated in the 2015 election by New Democrat Robyn Luff. 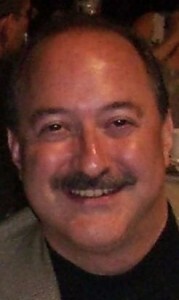 He ran twice before he was first elected, placing second behind NDP MLA Barry Pashak in 1986 and 1989. Amery defeated Pashak in 1993. 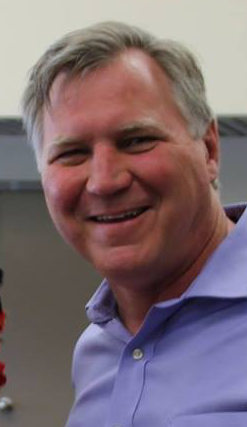 Gordon Francis is challenging four-term incumbent Mike Lake in Edmonton-Wetaskiwin. Lake was first elected as the MP for Edmonton-Mill Woods in 2006 and was challenged ahead of the 2015 election by Leduc County Mayor John Whalen and former Edmonton police officer Moe Banga. 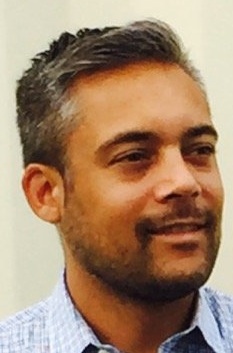 Banga was disqualified from the nomination and was soon after elected to Edmonton City Council in the Ward 12 by-election called to replace outgoing Councillor Amarjeet Sohi (who was elected as the Liberal MP for Edmonton-Mill Woods). 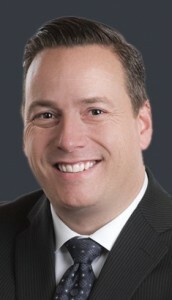 Francis is on the board of the Leduc-Beaumont United Conservative Party association and was previously involved with the local PC Party Association. 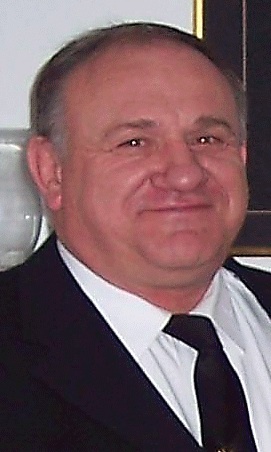 School principal Robert Duiker is challenging incumbent Jim Eglinski for the Conservative nomination in Yellowhead. Duiker is the principal of Rocky Christian School, an alternative program in the Wild Rose School Division located in Rocky Mountain House. 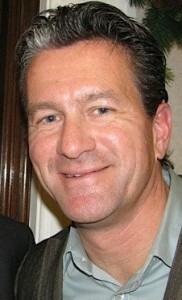 He is the former president of the now-defunct Rimbey-Rocky Mountain House-Sundre Progressive Conservative Association and is now the president of the UCP association in that district. Ryan Ouderkirk, who works as an executive assistant to Fort McMurray-Cold Lake MP David Yurdiga, is also challenging Eglinski for the nomination. 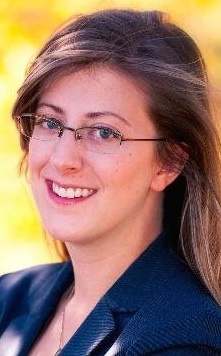 Carolyne Mackellar of Edson, a campaign assistant for the Nova Scotia PC Party and a former Emergency Medical Technician in Alberta, is also running for he nomination. 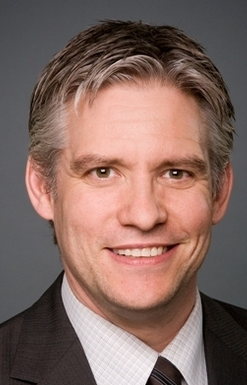 Eglinski is a former RCMP Officer and mayor of Fort St. John, B.C., and was first elected to the House of Commons in a 2014 by-election. Eglinski raised some eyebrows earlier this year when he was featured in a Maclean’s magazine article about his participation in Jasper’s annual Pride Week celebrations. The Conservative Party quietly opened nominations for the next election early this month and, I am told, also closed sales of new memberships for party nominations shortly afterward. 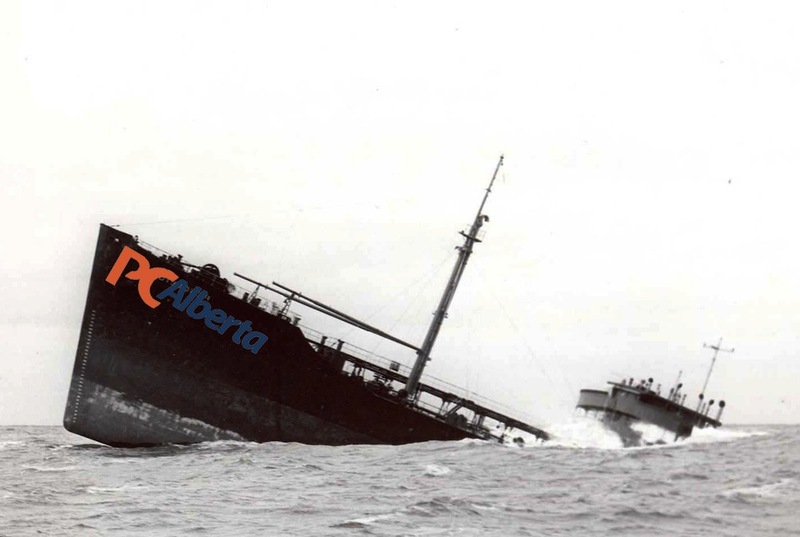 This entry was posted in Alberta Politics and tagged 2019 Canada Election, Barry Pashak, Calgary Forest Lawn, Carolyne Mackellar, Conservative nomination contest, David Yurdiga, Deepak Obhrai, Edmonton-Wetaskiwin, Gordon Francis, Jasper Pride Week, Jim Eglinski, John Whalen, Mike Lake, Moe Amery, Moe Banga, Robert Duiker, Robyn Luff, Ryan Hastman, Ryan Ouderkirk, Yellowhead on December 19, 2017 by Dave Cournoyer. 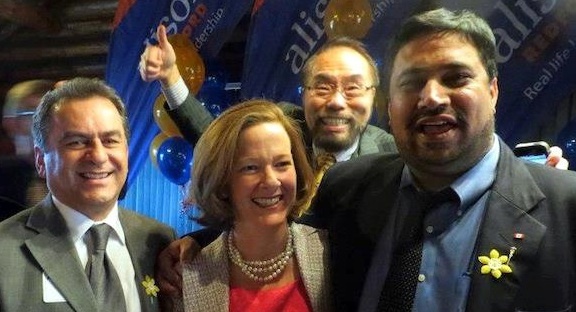 Celebrating the anniversary of the 2012 Tory victory: then-Premier Alison Redford and PC MLAs Moe Amery, Wayne Cao, and Peter Sandhu. (photo from May 2013). 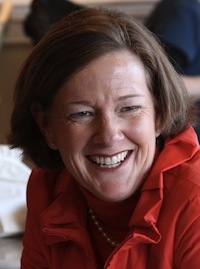 Most people rely on TripAdvisor or call a travel agent to book hotels for overseas trips, but it is alleged by intrepid CBC investigative journalists that former Premier Alison Redford dispatched a staffer to visit hotels and restaurants in advance of her trips to India, China, Switzerland, Washington, and Toronto for a cost of nearly $330,000. It is not uncommon for government leaders to have advance staff, but in this case, like so many of the decisions that led to Ms. Redford’s downfall, it appears to have been done in secret (the cost of the staffer and their travel was not included in the publicly available travel expenses disclosures). If advance work was indeed required, and there are reasons why this could be the case, it is hard to understand why the Premier’s Office would not simply hire the services of a consultant in the country or city Ms. Redford was planning to visit. Was it really necessary to hire a dedicated employee for this task? 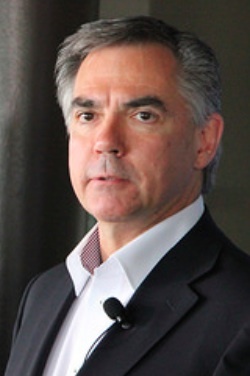 In response to the allegations, former top Redford loyalist Thomas Luksazuk has called on the former premier to resign as the MLA for Calgary-Elbow, a move that is likely to occur after Jim Prentice wins the party leadership. 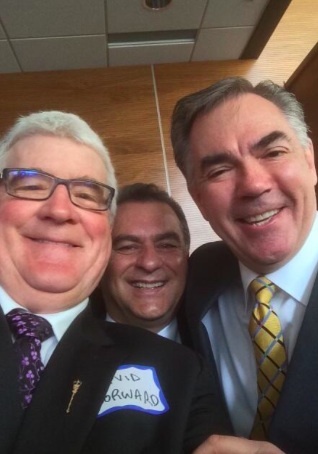 Mr. Prentice is without a seat in the Assembly and the cash-flush Calgary-Elbow PC association could steer the new Premier through a potentially treacherous by-election. Signalling that Jeff Johnson‘s troubling reign as Education Minister could come to an end in September, Mr. Prentice pledged to work “in a respectful way” with the powerful Alberta Teachers’ Association. Similar comments were made by Ms. Redford during her run for the PC Party leadership and during the 2012 election. Soon after, the PC government turned on public sector workers, threatening to legislate the contracts of teachers and public service employees and attacking their pensions. Mr. Prentice will need to follow his words with actions. Mr. Prentice also said he will accelerate the construction of new school buildings, a promise that was originally made by Ms. Redford, but recently downplayed by Infrastructure Minister Wayne Drysdale last week. 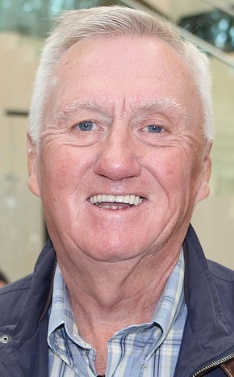 In a stunning admission, Mr. Drysdale told the media that the P3 (Public-Private Partnership) option for building the new schools was too expensive. But when it comes to governance of the education system, it is not clear what role Mr. Prentice believes locally elected school boards and municipalities should play in this decision making process, as they face intense growth pressures to raise new schools and shutter others. 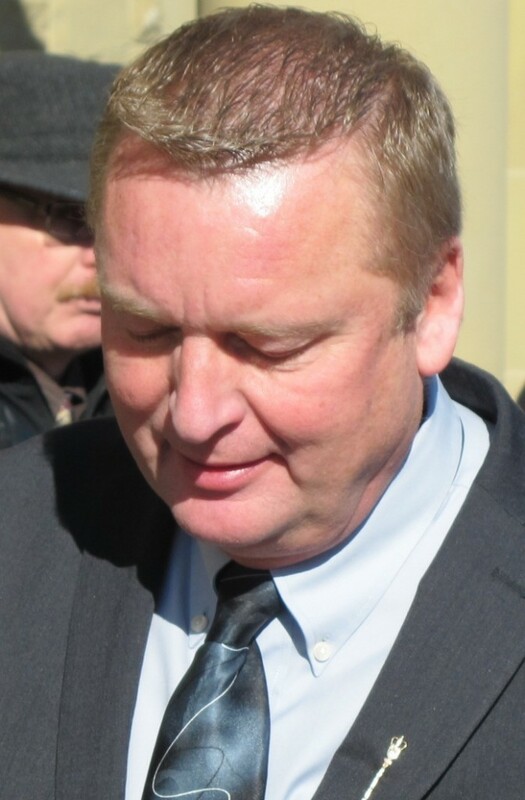 Another prime target for a demotion in Mr. Prentice’s cabinet is Finance Minister Doug Horner, whose budget reporting structure was today the target of an open-letter from a group of retired Tory politicians. Klein-era finance and revenue ministers Stockwell Day, Steve West, Greg Melchin, Lloyd Snelgrove, Lyle Oberg, and Ted Morton penned a letter to the PC leadership candidates urging them to return to the pre-Horner consolidated annual budget. Mr. Horner adopted a confusing new structure shortly after he was appointed to the post by Ms. Redford in 2012. Notably missing from the list of former finance ministers was Jim Dinning, who spoke out against Mr. Horner’s budget reporting in April 2014. This entry was posted in Alberta Politics and tagged 2014 Alberta Progressive Conservative leadership race, Alberta Budget Structure, Alberta Teachers' Association, Alison Redford, By-Election, Calgary-Elbow, Charles Rusnell, David Yager, Doug Horner, Greg Melchin, Jeff Johnson, Jennie Russell, Jim Prentice, Lloyd Snelgrove, Lyle Oberg, Moe Amery, New School Construction, Peter Sandhu, Public-Private Partnerships, Steve West, Stockwell Day, Task Force for Teaching Excellence, Ted Morton, Thomas Lukaszuk, TripAdvisor, Wayne Cao, Wayne Drysdale, Wildrose Party on June 27, 2014 by Dave Cournoyer. Be it resolved that the Legislative Assembly urge the Government to introduce legislation, like Manitoba’s and Ontario’s, requiring all school boards to develop policies to support students who want to lead and establish gay-straight alliance activities and organizations, using any name that is consistent with the promotion of a positive school environment that is inclusive, welcoming, and respectful for all students regardless of sexuality, sexual orientation, or gender identity. It was a simple motion introduced on the floor of Alberta’s Legislative Assembly on April 7, 2014 that would help create safer environments for students in schools. 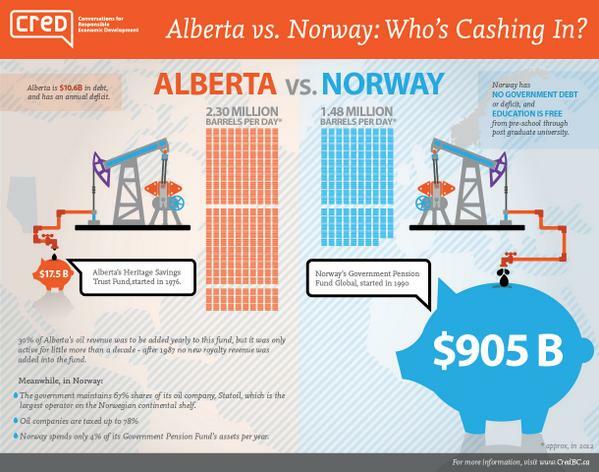 Nineteen Liberal, New Democrat, and Progressive Conservative MLAs voted in favour of the motion, but it failed after 31 PC and Wildrose MLAs stood up and voted against it. Motion 503, introduced by Calgary-Buffalo MLA Kent Hehr, was not a piece of binding legislation, it was a symbolic message of that all students, regardless of sexual orientation or identity, can be welcomed and accepted in Alberta’s education system. Creating safe and supportive environments for all students, including LGBTQ youth who may face discrimination in and outside of school, should be something that is encouraged by MLAs. 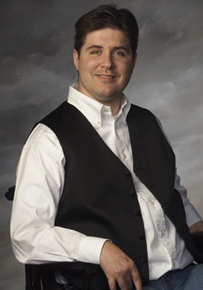 Mr. Hehr’s motion undoubtably would have made some social conservatives uncomfortable, but it would have ultimately helped drag some of Alberta’s more stodgy school boards into the 21st century. The motion would not have forced any school board to form student-led gay-straight alliances, but it would have compelled the elected boards to accept the existence of the groups if students in their schools chose to organize them. Passage of this motion would have sent a strong message that tolerance and acceptance are priorities Alberta’s provincial legislators. Anti-bullying minister Sandra Jansen voted in favour but Education minister Jeff Johnson voted against it. Missing from the vote were Premier Dave Hancock and NDP leader Brian Mason, who both later said they would have voted in favour had they been in the Assembly. 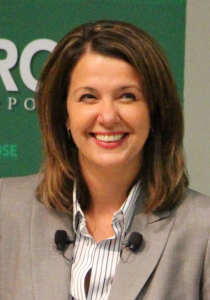 Wildrose opposition leader Danielle Smith was not present for the vote and it is not clear if she would have voted differently than her party’s MLAs. The divided PC government caucus also missed an opportunity to send a clear message that they embrace 21st century values by singling out the opposition Wildrose as the only party to unanimously vote against the motion – and remind Albertans of the infamous Lake of Fire. And for the Wildrose, a vote for the motion, even by one or two of that party’s MLAs, would have done a lot of demonstrate the party is more moderate on social issues than its opponents claim. In total, 36 MLAs were absent from the vote (minus the Speaker, who abstains from votes of the Assembly). This entry was posted in Alberta Politics and tagged Alana DeLong, Brian Mason, Bridget Pastoor, Bruce McAllister, Bruce Rowe, Bullying, Cal Dallas, Calgary-Buffalo, Christine Cusanelli, Danielle Smith, Dave Rodney, David Dorward, David Eggen, David Swann, Deron Bilous, Diana McQueen, Don Scott, Drew Barnes, Everett McDonald, Frank Oberle, Gary Bikman, Gay-Straight Alliances, Genia Leskiw, George VanderBurg, Greg Weadick (PC), Heather Klimchuk, Hector Goudreau, Homelessness, Ian Donovan, Jacquie Fenske, Jason Luan, Jeff Johnson, Ken Hughes, Kent Hehr, Kerry Towle, Kyle Fawcett, Lake of Fire, Laurie Blakeman, LGBTQ issues, Linda Johnson, Maureen Kubinec, Moe Amery, Motion 503, Neil Brown, Pearl Calahasen, Public Education, Rachel Notley, Raj Sherman, Richard Starke, Rick Fraser, Rick Strankman, Rob Anderson, Robin Campbell, Ron Casey, Safe Schools, Sandra Jansen, School Boards, Shayne Saskiw, Teresa Woo-Paw, Thomas Luksazuk, Wayne Drysdale, Yvonne Fritz on April 9, 2014 by Dave Cournoyer. 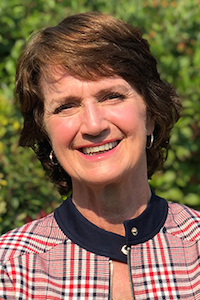 Blasting the culture of entitlement that has engulfed the 43-year governing Progressive Conservative Party, Calgary-Varsity MLA Donna Kennedy-Glans announced on Monday that she was leaving the government caucus to sit as an Independent MLA. 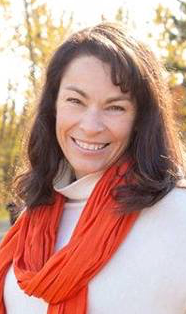 Ms. Kennedy-Glans is the second MLA to leave the PC caucus this month, but unlike the departure of Calgary-Foothills MLA Len Webber, she did not have a well-known history of dissatisfaction with the party’s leadership. 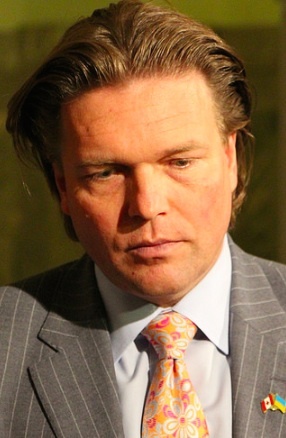 The now-former Minister of Electricity and Renewable Energy was a star PC candidate in the 2012 election, and was seen as a rising star within the caucus. 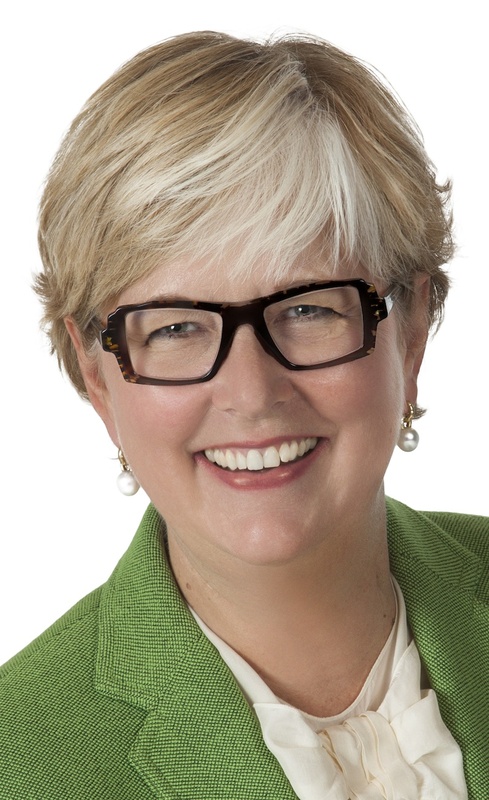 A former vice-president of Nexen, Ms. Kennedy-Glans decision to leave the PC caucus carries a significant amount of weight in Calgary’s corporate oil establishment, and her departure is a blow to Ms. Redford’s party. Hoping to ease the turmoil amid calls for the premier’s resignation and the threat of an MLA revolt, senior PC Party officials gathered in Calgary last weekend and imposed an ambiguous “work plan” on Ms. Redford, essentially putting their leader on probation two years before the next election. A strange move, this action is hardly a vote of confidence in Ms. Redford’s leadership. The “work plan” apparently did little to appease a group of ten disgruntled PC MLAs, who met in Edmonton on Sunday to discuss their next steps. According to CBC, the ten MLAs at the meeting were Moe Amery, Neil Brown, Ken Lemke, Jacquie Fenske, Mary Anne Jablonski, Matt Jeneroux, Cathy Olesen, Janice Sarich, David Xiao, and Steve Young. Over the past 43 years, the PC Party has survived, and dominated, by reinventing itself with each new leader. 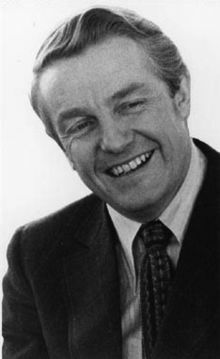 As such, the PC Party has transformed drastically since the principled Peter Lougheed first led it to victory in 1971. Tied to its current unpopular leadership, the PC Party faces a serious identity crisis, but the crisis is deeper than its current leader. As a natural governing party for more than four decades, the PC Party in 2014 has become tired, arrogant and absent of real principles. Albertans have an overwhelmingly low opinion of Ms. Redford’s character and they are scratching their heads wondering why the party has not yet compelled her to resign. Her aloof reaction to scandals over her personal use of government planes and travel expenses have overshadowed the government’s entire agenda over the past two months. The PC Party had an opportunity to send Ms. Redford packing last year, when instead they handed her a 77% approval vote in her leadership review. Now left with no official mechanism to remove her as leader, her opponents and her potential successors are forced to use eagerly using more public and more embarrassing methods to pressure Ms. Redford to resign. Update: This morning on CBC Edmonton AM, Edmonton-South West PC MLA Matt Jeneroux mused that he is “taking time to reflect” about whether he should remain in the government caucus. This entry was posted in Alberta Politics and tagged Alison Redford, Calgary-Foothills, Calgary-Varsity, Cathy Olesen, Crossing the floor, Donna Kennedy-Glans, Edmonton-South West, Jacquie Fenske, Janice Sarich and David Xiao, Ken Lemke, Len Webber, Mary Anne Jablonski, Matt Jeneroux, MLA defections, Moe Amery, Neil Brown, PC leadership crisis, Steve Young on March 18, 2014 by Dave Cournoyer. 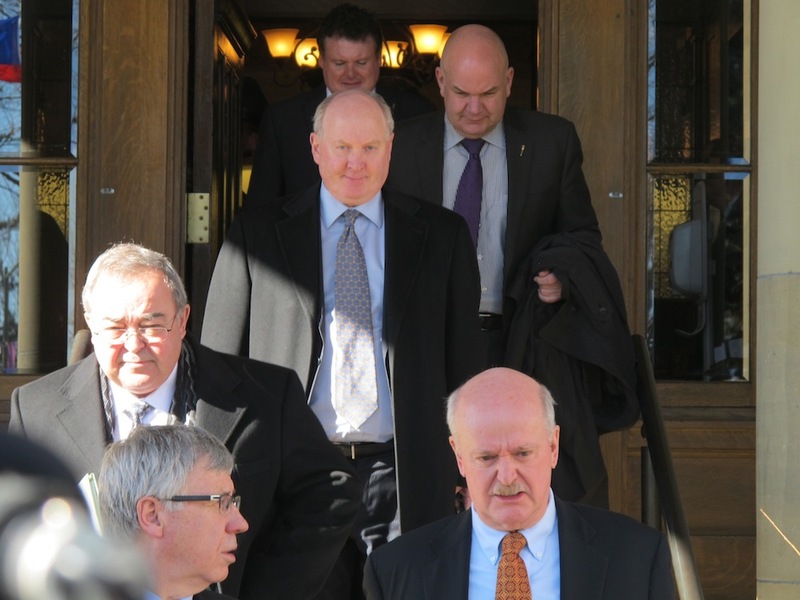 Old white men: Progressive Conservative MLAs leave their Thursday morning caucus meeting at Government House. A rumoured revolt within Alberta’s Progressive Conservative caucus failed to materialize yesterday as government MLAs gathered at Government House to discuss Premier Alison Redford‘s future. 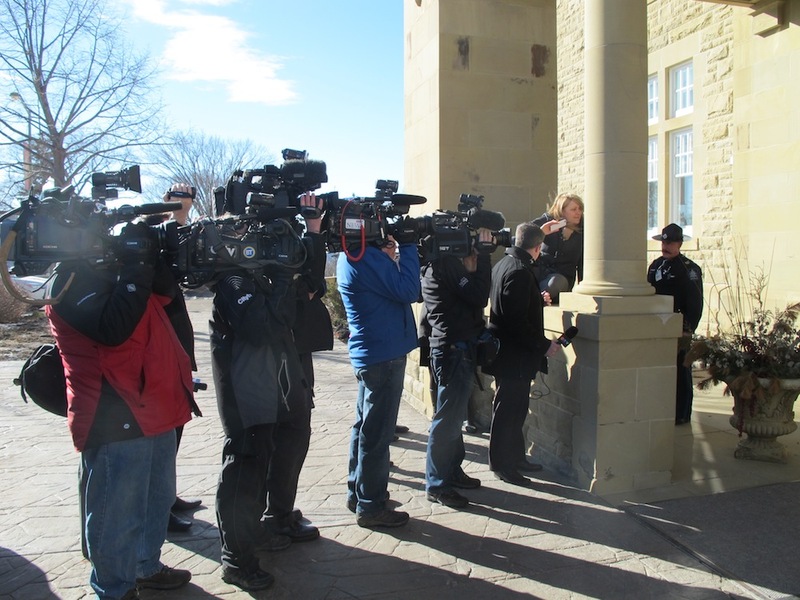 Cancelling all public appearances and media events for the day, including the premier’s trip to Regina to participate in the New West Partnership meeting, PC MLAs cloistered themselves in the stately mansion for more than four hours. The media were positioned outside of Government House, waiting for news of the rumoured MLA revolt. 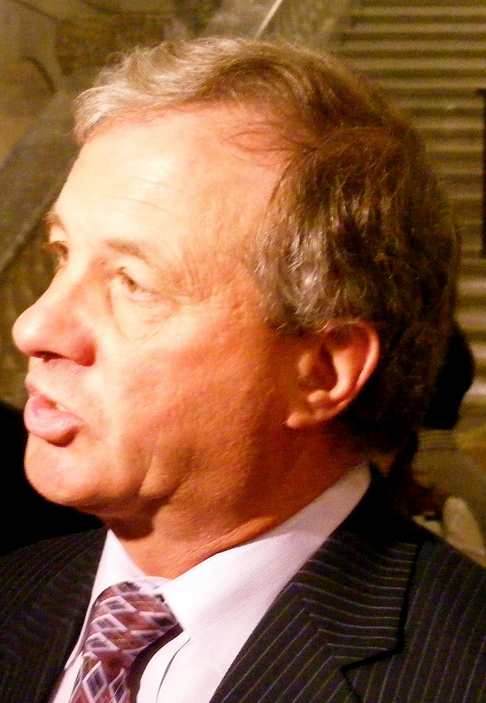 Despite rumours that up to 20 PC MLAs were considering leaving to sit as Independents if Ms. Redford did not pay back the $45,000 she expensed for a trip to South Africa, only Calgary-Foothills MLA Len Webber announced his departure yesterday. 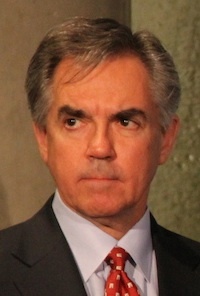 At a morning press conference in Calgary, Mr. Webber laid down harsh criticism against Ms. Redford, describing her as an abusive bully and claiming she is killing the PC Party. 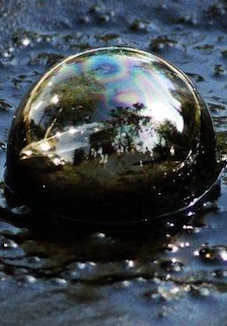 Mr. Webber’s departure from the PC caucus is a blow, but not a complete surprise. 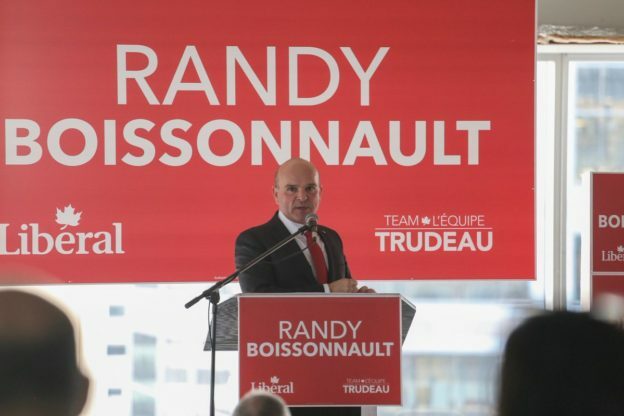 He is currently seeking a federal Conservative nomination, meaning that he was already planning on leaving provincial politics. With a gloom look on her face, Ms. Redford briskly left the building around 11:30am and was quickly whisked away in her black Suburban SUV. 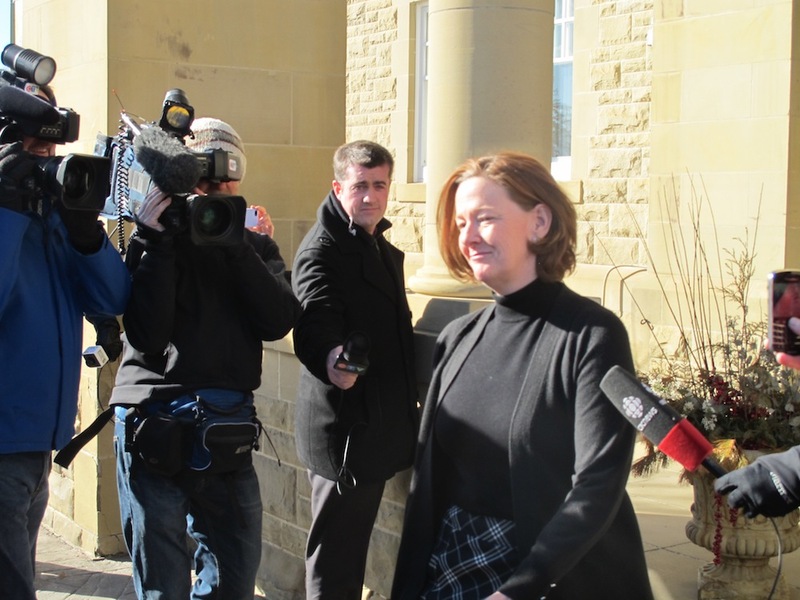 Premier Alison Redford quickly departs Government House. 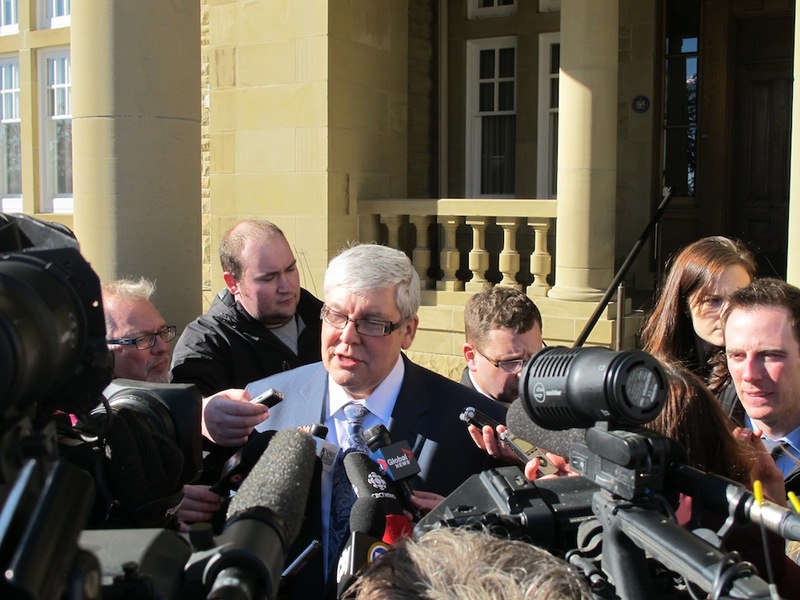 Not long after the premier’s departure, Tory MLAs slowly poured out of Government House. Most MLAs were tight-lipped and refused to comment about what transpired at their meeting. 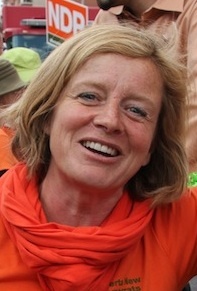 It appeared that Ms. Redford remained leader of the PC caucus. 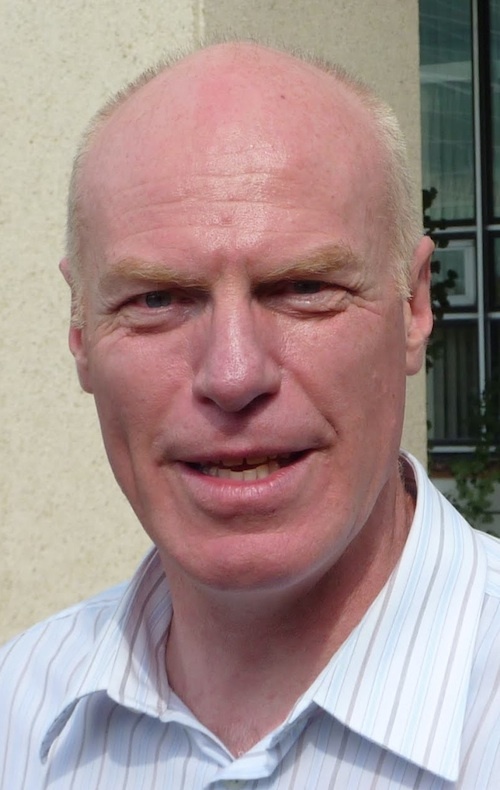 Were rumours of an MLA revolt against the premier exaggerated or is it yet to come? Was Ms. Redford able to appease the critics in her caucus by pledging to pay the $45,000 she expensed for a trip to South Africa? Has the PC caucus put the premier on probation? Deputy Premier Dave Hancock scrums with the media after the PC caucus meeting. Alberta’s long-governing PCs have a history of ruthlessly deposing leaders who threaten their re-election prospects. But while Ms. Redford’s popularity is low and her premiership has become scandal-plagued, PC MLAs must recognize the reality facing their own party. 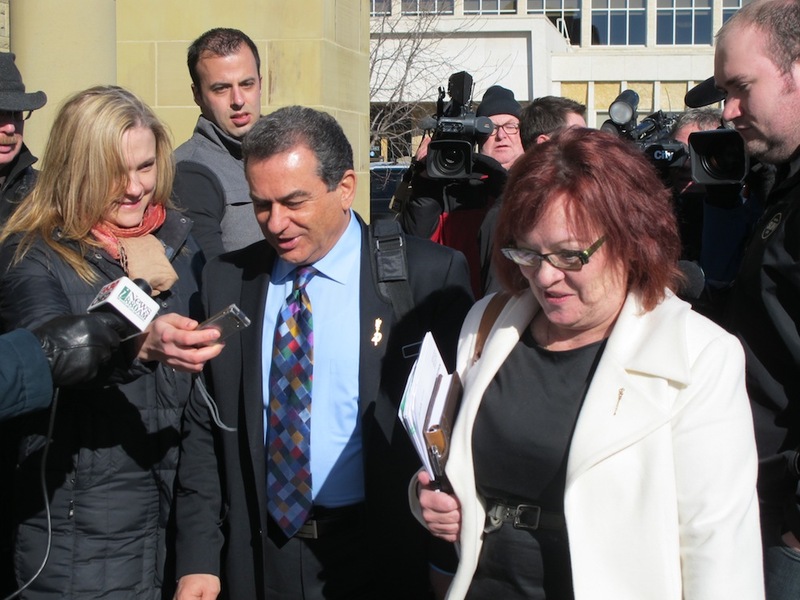 PC MLAs Moe Amery and Jacquie Fenske leave Government House. With less than two years until the next election, the PC Party can ill-afford the financial costs of a hastily called leadership race, which would increase party expenses while diluting their already strapped donor base. But this is not likely the end of the challenges facing Ms. Redford’s premiership. This upcoming weekend, senior PC Party officials will gather to discuss the future of their party, and their leader will surely be a topic of discussion. For the time-being, Ms. Redford appears to have survived the wrath of her caucus, but can she appease party activists with no appetite for defeat? This entry was posted in Alberta Politics and tagged Alberta PC Caucus, Alison Redford, Calgary-Foothills, Coup D'Etat, Dave Hancock, Dave Quest, Frank Oberle, Fred Horne, Jacquie Fenske, Ken Hughes, Len Webber, Moe Amery, Neil Brown, PC leadership crisis, Thomas Lukaszuk on March 14, 2014 by Dave Cournoyer.